Rodrigo, an IFMGA guide, offers a unique acclimatization option to avoid spending extra days in the mountain. 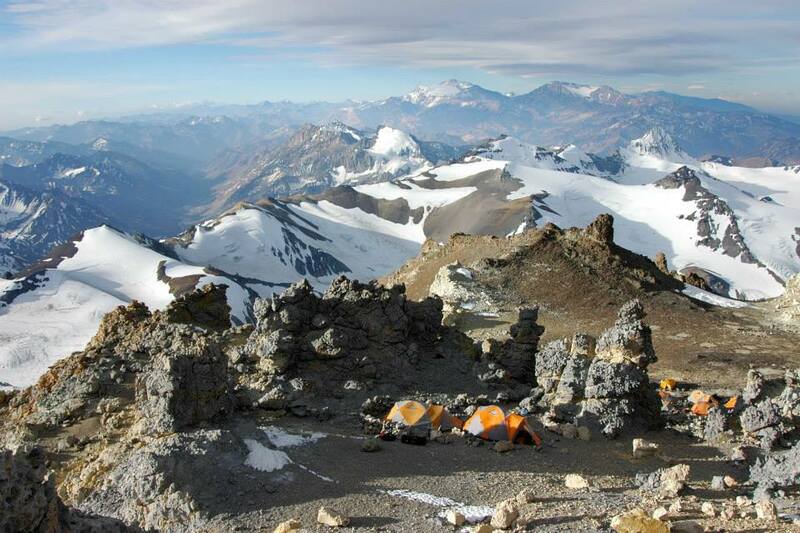 Reach the summit of Aconcagua in only 12 days! Consider flying to Base Camp by helicopter! 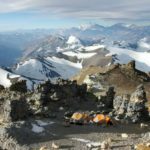 Reach the summit of Aconcagua in record time! As a pioneer in climbing Mount Aconcagua, I bring a new alternative way to reach the summit. I invite you to join me on a 12-day ascent (the usual trip takes around 20 days). I would like to introduce you to a great and unique system that makes spending 10 days in the mountain for acclimatization unnecessary. It is basically an Altitude Training System that uses a Hypoxic tent. By using it at home, you will be well acclimatized even before you get to the mountain. And how does this Altitude Training System work? Simple! You will sleep for 4 to 6 weeks inside these Hypoxic tents in the comfort of your home. While you are watching a movie or resting in the tent, you’re already pre-acclimatizing your body for Aconcagua. All you have to do is adjust your altitude level week after week. This acclimatization method is only available for rental in the US and Canada. Its price starts at USD 175 a week. However, I am offering a special rental program in which you can try it during 8 weeks. It is a good way to test the equipment and make sure it really works. I think it is the great invention for mountaineers who love heights but do not have time for the acclimatization process. Returning to the Aconcagua expedition itself, there is another option I would like to propose to you. I can also offer a helicopter flight from the trailhead to the Aconcagua base camp. That way you’ll save two ascent days . Remember that, due to weather conditions, I can’t guarantee this option till the day of the expedition. The total cost of this service is USD1800 for 3 people. As for the itinerary of this climbing trip, you’ll arrive at Mendoza from your country and spend the first night in a hotel in the city (Mendoza Park Hyatt). The next day we will drive from Mendoza to the foot of Aconcagua and hike to Confluencia or fly directly to Base Camp by helicopter. Depending on your choice, the third day we will rest or walk to the Base Camp. The following day we will continue the ascent towards Canada Camp with the help of mules. From Canada we will move to Nido and then, to the High Camp, the last campsite before the summit. Once we conquer the 6962-meter summit of Aconcagua, we will hike down to the Base Camp to finally return to Mendoza by transfer. So, are you ready to reach the summit of the world’s highest mountain outside Himalaya in record time? Contact me now and make your reservation! I am sure you won’t regret it. Pick up at airport and transfer to the Mendoza Park Hyatt. Transfer from Mendoza to the trailhead and hike to Confluencia or Fly Into Base Camp. We’ll go to the Base Camp or enjoy a Rest Day if you flew there. We’ll carry the gear to Canada camp and go down to Plaza de Mulas to spend the night. Hike to Canada camp and night there. Hike to Nido del Condor and night there. Hike to High Camp and night there. Early start to go for the Summit. Hike out to the trailhead. Transfer to Mendoza Park Hyatt. End of trip. (*) Total price includes taxes + fees for 1 adult. Additional bag fees and other fees may apply. If the participant cancels less than 75 days of the starting date, there will be absolutely no reimbursement of fees. An Internationally Certified UIAGM / IFMGA Mountain Guide, Rodrigo has been a guide for 30 years. He has led 24 expeditions to Denali and 28 expeditions to Aconcagua — the highest peaks in North and South America, respectively. 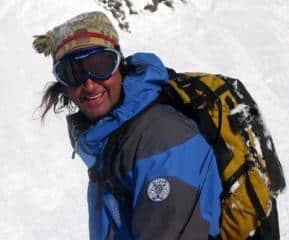 He has been a member of expeditions to Shisha Pangma and Cho Oyu in the Himalaya, and his climbs in Patagonia include the North and Central Towers of Paine, Agujas Guillaumet and Poincenot, as well as Cerro Torre attempts. He’s made Patagonian Ice Cap explorations including the first east-west traverse of the northern Ice Cap. He holds first ascents in Antarctica, the Andes and Alaska; speed ascents of Denali, Aconcagua, and Juncal. He’s guided the Ellsworth Mountains and Mt. Vinson in Antarctica and has extensive climbing and guiding experience in Yosemite and the Alps, including Frendo Spur and the Grand Jorasses. He’s a former Technical Committee member for the American Mountain Guides Association and a Senior Guide at Exum Mountain Guides in Jackson Hole, Wyoming. Rodrigo speaks fluent English, French and Spanish.